Dancer and courtesan, Nargis (Meena Kumari), dreams of escaping her dishonourable life but she is rejected by the family of her husband, Shahabuddin (Ashok Kumar). She dies in a graveyard, giving birth to a daughter, Sahibjaan, who also grows up to be a courtesan (Meena Kumari again). Sahibjaan’s guardian, Nawabjaan (Veena) also Nargis’s sister, prevents Shahabuddin from seeing her and takes her away to another place. Sahibjaan falls in love with a mysterious, noble stranger who turns out to be her father’s nephew, Salim (Raaj Kumar). Salim’s father forbids the marriage. Sahibjaan dances at Salim’s arranged wedding where Shahabuddin discovers her identity and claims her as his child. Finally, Sahibjaan desires are fulfilled and she marries Salim, leaving her past behind. Pakeezah is a stylized, larger than life mythicization of the familiar tale of the prostitute with the heart of gold. Perhaps Meena Kumari’s best known film, the film had been planned by her and husband Amrohi since 1956. When the two of them separated in 1964, filming came to a halt. 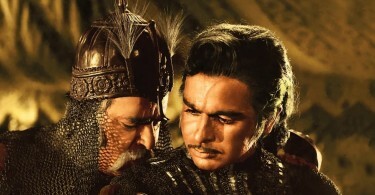 Initially, Dharmendra was to have played the male lead but Raaj Kumar replaced him. After some years, by which time Meena Kumari was suffering from alcoholism, she decided to complete the film before she died. In the film Amrohi turns to the milieu and culture he is a product of – Uttar Pradesh’s feudal elite, its life of ease and elegance, of romantic love, poetry and mujras. Its decadence is not without a touch of class and has sometimes resulted in much creative upsurge. Pakeezah inherits that legacy. There is grandeur in Amrohi’s filmmaking – an epic magnitude of treatment. The evocative songs and the background music create the right period mood and Amrohi’s eye for details brings great depth to the lavish sets. The dances are extremely well choreographed, cleverly hiding Meena Kumari’s inability to dance (Just watch her walk and move ever so gracefully in the song Chalte Chalte even as two other nautch girls dance in the background). And the picturisation of the song Chalo Dildar Chalo across the wide expanse of sea and sky to the boat on which the lovers ride is romanticism at its best. In fact, the film’s main merit in spite of its flaws, at times disjointed flow, its stock situations and an over stretched plot lies in its delirious romanticism. Though the suffering courtesan occupies central stage, she is defined by male values and shaped by patriarchal parameters with the courtesan having to lead a life of emotional repression. The caged bird whose feathers are trimmed and the torn kite hanging in her courtyard operate as visual symbols for her imprisonment and curtailment of desire. The train or the patriarchal haveli are well-knit constructs in the fabric of the film, the whistle of the train well used like a leitmotif throughout the film. 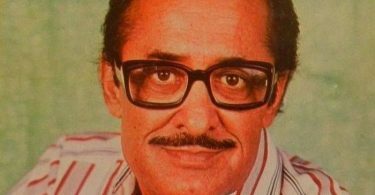 Ghulam Mohammed’s music is one of the all time great scores in Indian Cinema. Pakeezah reaffirms his great talent and it is sad he did not get his due in the Hindi Film Industry in spite of brilliant work in films like Mirza Ghalib (1954) and Shama (1961) besides Pakeezah. Sadly, he did not live to enjoy the efforts of his labour in Pakeezah and Naushad finally completed the music score. Lata Mangeshkar’s songs in Pakeezah represent some of the finest work of her career. Another great talent, who also died during the making of the film was its cinematographer, German Josef Wirsching. The film’s principle photography was finally completed by RD Mathur. The camerawork is, to put it simply, highly evocative and brilliant. The other factor, of course, which lifts Pakeezah way above the ordinary is Meena Kumari’s stunning performance in the dual role of Nargis and Sahibjaan. She is the life and soul of the film and Pakeezah is simply unthinkable without her. The rest of the cast – be it Ashok Kumar, Raaj Kumar, Veena or Nadira – they play their parts more than adequately but ultimately the film belongs to Meena Kumari. However, due to the long time taken in the filming, her look is inconsistent in the film. And due to her illness, Padma Khanna filled in for her for the more vigorous dancing in the long shots of the last part of the Aaj Hum Apni Duaon ki Asar Dhekenge song. 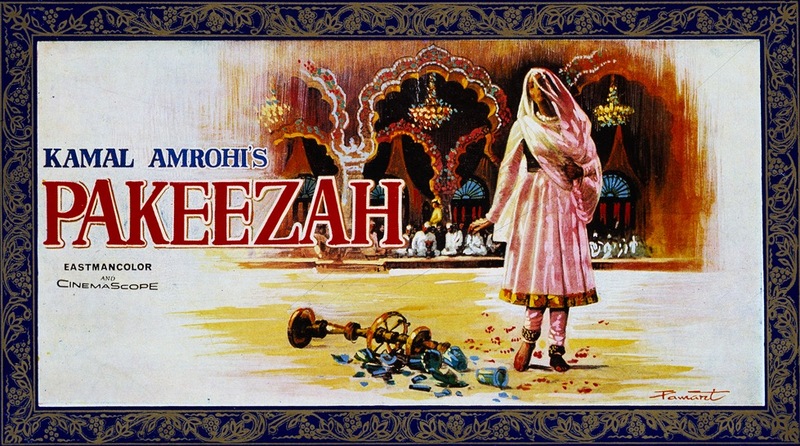 Pakeezah finally released in February 1972 and opened to just a lukewarm response but after the death of Meena Kumari on 31st March, 1972, the film went on to become a huge success at the box-office and has since acquired major cult status as well.